Post in Creation Day on August 29, 2015 by Taryn. Green Christianity, in the broader sense, describes Christianity’s engagement with nature. It has come to be associated with individual Christians, and groups of Christians, who have a concern for environmental issues, and who actively reflect on nature. Their reflections are grounded in theological beliefs, and seek to represent and advocate for the environment. Green Christianity stems from the firm belief that the environment should be protected and celebrated, because God commanded it in the Biblical account. For this reason, Green Christians put an emphasis on responsible stewardship of nature. As a result of this emphasis, Green Christians actively oppose policies and practices that bring harm or destruction to the environment. The emphasis on human responsibility over nature is a response to Christianity’s traditional anthropocentrism – the standard tendency within Christendom to emphasise humanity, rather than nature. Green Christianity seeks to retain a focus on humanity, while also incorporating environmental concerns, and living out of a framework that is concerned with creation care. Green Christianity is concerned specifically with the Biblical philosophy of stewardship. God has given the role of responsible dominion over to humankind. Green Christianity takes this role of stewardship very seriously, and seeks to protect and care for the environment as an act of Godly duty. Genesis 1 also tells us that God looked at his creative work, and declared that it was ‘good’. Green Christianity recognises God’s deep love for the earth, and encourages humanity to exercise this same love, in order to honor God’s creation. Humans, and Christians in particular, have an inherent bond to the earth, and an obligation to conserve it, and to openly oppose any practices which abuse the earth or neglect it. Green Christians make it their business to be concerned with issues such as climate change, renewable energy solutions, the protection of natural resources, recycling, animal treatment and even family planning. Green Christianity seeks to put environmental theology into practice, and make a difference to the earth in a very practical way. Mainstream Christianity has often placed such a high priority on the salvation and care of people that it has often neglected to care for God’s creation in the wider sense. Though we must be concerned for saving souls, we must honor the entire cosmos. Remember – humans were placed last into an already established, created order. Green Christianity seeks to prioritise creation with a holistic concern for all of God’s creative work. 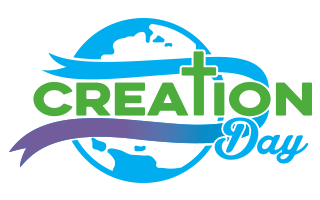 If you want to honor God’s creation, then start by signing our petition to make Creation Day an official holiday!